After winning the CIM Marketing Excellence Award for Best Use of Digital Marketing in both 2017 and 2018, ThoughtShift was shortlisted in the Best Use of Digital Marketing category for a third year in a row for work with luxury watch winder and jewellery storage brand WOLF. For the second year running ThoughtShift has won the CIM Award for the Best Use of Digital Marketing. This is a new category introduced by the CIM in 2017 so to date ThoughtShift are the only company to have won it. This is because we are experts in delivering ROI; this year it was for our work with Marine Super Store. The CIM Marketing Excellence Awards are designed by The Chartered Institute of Marketing to recognise the very best marketing campaigns. ThoughtShift were delighted to be the winners in the Chartered Institute of Marketing Best Use of Digital Marketing category in 2017. They scooped this prestigious award beating luminaries in the field for their work with retailer Calumet Photographic. The award-winning campaign used SEO, PPC, Social Media and Email Marketing to deliver a massive five-fold increase in ROI and more than tripling online revenue. 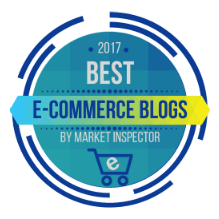 Marketing Inspector have awarded ThoughtShift an award for having one of the best eCommerce blogs in the UK in 2017. The blogs were picked to give a comprehensive set of resources for novice and veteran entrepreneurs alike who work within e-commerce in the UK. A full list of the winners can be found on their website. Our post Online Shopping UK Revenue Growth 2017 was their favorite. The Drum Digital Agency Census rates hundreds of digital agencies across the UK in various digital specialisms such as web design, media buying and digital marketing. Agencies are assessed based on the size of staff employed and then ranked in the categories financial performance and client satisfaction. The UK Search Awards recognise the best SEO, PPC and content marketing agencies, attracting thousands of entrants from leading UK digital agencies and brands. ThoughtShift and Calumet Photographic gained a shortlisting in the Best PPC Campaign category for Calumet’s paid campaign including Google AdWords and Facebook Advertising which achieved ROI in excess of 13:1. The Drum Independent Agency Census assesses hundreds of agencies in a variety of marketing and branding specialisms across the UK. Agencies are assessed on a regional, financial performance and client satisfaction basis and ThoughtShift ranked in the top 50 across all of these categories, establishing ThoughtShift as a top 50 UK agency with 1-25 staff. The DRUM Search Awards aim to recognise and celebrate the most innovative, creative and effective search campaigns across the digital marketing industry. ThoughtShift and Calumet were announced as finalists for work on Calumet’s integrated paid and organic search campaign which saw revenue from search engines increase by 294%. 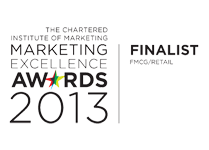 The CIM Marketing Excellence Awards were founded by the Chartered Institute of Marketing to recognise and reward brilliance, creativity and originality in the field of marketing. ThoughtShift was shortlisted in the Digital – SEO category for work on an organic search campaign for luxury watch winder and jewellery storage brand WOLF. The SEO campaign increased UK revenue by 505% using the ThoughtShift Buying Intent MethodologyTM. 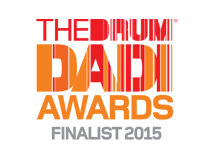 The Drum’s Dadi Awards were created to recognise excellence within the digital industries. ThoughtShift was shortlised in the Best Use of Organic Search for work with luxury biscuit brand Biscuiteers for an organic search campaign which saw non-branded traffic increase by 203%. 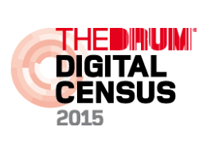 The Drum Digital Census asses thousands of Digital Agencies from across the UK to rank in a census. Agencies are split into size categories based on the number of employees and then judges the agencies based on financial performance, peer recognition and client feedback. In the 2015 Drum Digital Census ThoughtShift ranked in the top 10 agencies for client feedback out of more than 70 agencies. 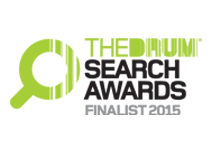 The Drum Search Awards are sponsored by Google, Bing and Yahoo! With judges including Matt Bush, Head of Performance at Google the Drum Search Awards aim to “shine the light on the great work that is being done in search”. ThoughtShift and luxury biscuit gift brand Biscuiteers were nominated for SEO work in the Best Retail/eCommerce SEO Campaign category. The nominated SEO campaign delivered a 77% year on year increase in eCommerce SEO revenue. ThoughtShift’s SEO campaign for luxury edible gift brand Biscuiteers was nominated in the Best Consumer Products/Services SEO Campaign category. This campaign achieved page one keyword rankings for seasonal keywords like “Halloween biscuits” and “corporate Christmas gifts”. ThoughtShift and luxury biscuit gift brand Biscuiteers were nominated for an SEO campaign in the Best B2C SEO Campaign category. This campaign reached consumers looking to purchase gifts over the holidays to increase new organic users 90% year on year. ThoughtShift’s PPC campaign for leading UK furniture manufacturer and retailer Gopak reached key educational audiences and was nominated for the Best B2B PPC Campaign. The campaign increased paid search revenue 44% and decreased paid search cost per sale by 61% year on year. 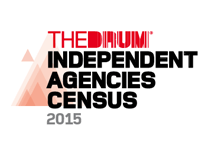 The Drum Independent Agency Census asses thousands of agencies from across the UK to rank them in a census. Agencies are split into size categories based on the number of employees and then judges the agencies based on financial performance, peer recognition and client feedback. 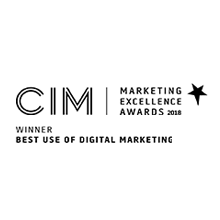 The CIM Marketing Excellence Awards are designed by The Chartered Institute of Marketing to celebrate the demonstrable results being generated through successful marketing campaigns. ThoughtShift won the CIM Marketing Excellence Award for Marketing Performance with an integrated SEO and PPC campaign for Berkshire Hathaway furniture rental company Roomservice by CORT. The campaign generated a 183% increase in conversions from the Roomservice by CORT website. 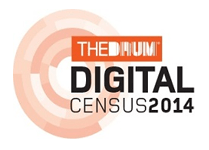 The Drum Digital Census asses thousands of Digital Agencies from across the UK to rank in a census. Agencies are split into size categories based on the number of employees and then judges the agencies based on financial performance, peer recognition and client feedback. In the 2014 Drum Digital Census ThoughtShift ranked in the top 100 based on great client feedback, peer recognition and financial performance. 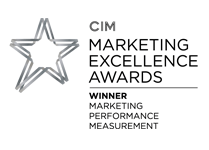 The CIM Marketing Excellence Awards are designed by The Chartered Institute of Marketing to recognise the very best marketing campaigns. ThoughtShift were nominated for the CIM Marketing Excellence Award for Retail/FMCG for work for fashion eCommerce client Oliver Bonas. The eCommerce SEO campaign for Oliver Bonas achieved 445% year on year increase in non-branded eCommerce SEO revenue.